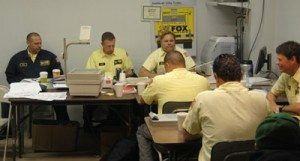 Our Fox Plumbing, Heating and Air Conditioning team has just come out of one of our weekly morning meetings, and we wanted to let you know, that we are working hard to ensure you have the most knowledgeable team possible for your plumbing, heating and cooling service needs. Servicing Seattle, Bellevue, Issaquah and all of King County for over 50 years means that we have a long history of providing professional service to our neighbors and customers. Part of that is ensuring that we have the best trained professionals in the business. David Brown, the owner of Fox Plumbing & Heating, believes that we don’t just provide professional quality products but that we do service the way a service company should. To prove that, we’ve been winning awards year after year for our superior customer service. We’ve just accepted our 5th year in a row award from Seattle’s Talk of the Town for our service quality. And we’ve been winning quality service awards consecutively for over 9 years from Angie’s List. To ensure the best possible service and knowledge our professionals train over 20 hours each month in continuing education classes. That means learning about the most up-to-date techniques to ensure you the best quality options for your plumbing, heating and cooling needs. Then our team logs another 10 hours monthly in the field learning and perfecting techniques. This ensures that if you have multiple problems then you deal with the same neighborhood plumbing professional or heating and cooling specialist from start to finish. Our heating and cooling specialists are Platinum Preferred Dealers for Diakin and have special relationships with several other dealers. While our plumbing professionals are certified in Navien Tankless Water Heaters, which they are preferred partners of Navien that includes regular training with the company. This means that you’re getting the best of the best and the right price for the service. Since we’ve been serving Bothel, Bellevue, Seattle and all of King County for 50 years we’ve developed long term relationships with suppliers and vendors throughout the industry. That’s a relationship that we also pass on to our neighbors, friends and customers in King County. That means that you’ll get the best deal for the products, and the best service possible. We even have awards that we provide our employees of the month that have demonstrated to be the best in the field. Internally, we only look to hire the best of the best employees when we add to our team of professionals. We go through every applicant to ensure that they not only represent our mission statement but that they reflect 50 years of quality service. Service that is reflected by the leadership and direction of our owner, David Brown. Fox Plumbing & Heating’s Mission Statement: It is our sincere desire to give all of our customers premium service every time, treat our customers like our friends and family, and plan on having a lifelong relationship with them. Here at Fox Plumbing, Heating & Cooling, we believe that focusing on providing you with the most professional quality of service and a friendly experts that will allow us to serve you for the next 50 years.